Its holiday season and festivals are on their way yearning us go for shopping but who likes to stand in a queue for long hours to get a discount on your desired watch or boots? So just relax, take a cup of hot chocolate and be ready to shop onlie. 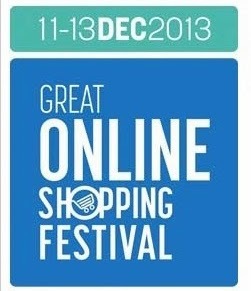 Google India is coming back yet another time with of Great Online Shopping Festival (GOSF). This time it will be held for three days 11th, 12th and 13th December 2013. Google will be collaborating with the most sort out online shopping websites and will bring incredible deals on your table. For a little recollection of thoughts, let me remind you that GOSF is India’s largest online shopping festival held by Google India unifying major e-commerce players. 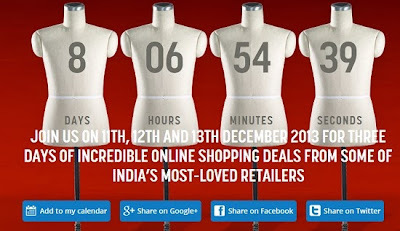 This year Google will be organizing this festival in conjunction with 233 Indian retailers. The products available will be shoes, clothes, jewelry, apparel, kids wear, books, travel packages, electronics and computer peripherals as well. Google has been rigorously promoting e-commerce in India since it has seen potential and started strategizing to tap on online shopping in India. Statistically, there had been an 128% increase in interest in online shopping among customers during the year 2012, this has been found by Google and TNS Australia. Lets have a sneak peak as to who are participating in GOSF for Dec2014 festival. 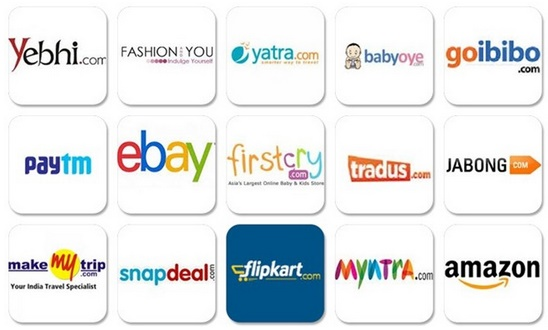 Google has partnered with whooping 200+ online retailers this time which includes Amazon India, Flipkart, HomeShop18 Myntra, BeStylish, Myntra and many more. The uniqueness of this festival is the inclusion of Matrimonial sites, BharatMatrimony, Shaadi.com, Online and Bank Insurance companies such as Axis, ICICI and HDFC, Holiday retailers , Air Aisa, Yatra Mahindra, Courier companies, telecom operators, Online reservations and directories like Olx and Quickr. With huge success of GOSF last year which has been shown in the account books of top retailers by increasing their sales by 3 times, this time we are expecting the festival to be huge and better. So don’t miss the opportunity and grab the best deals among thousands of options available with attractive deals and discounts. So pack up in your arm chair , free your calendar and get ready to do shopping endlessly!